Our end of the season 2019 All -City Championships is coming this month! Competitions for all ages and belt levels. The action begins on Friday, April 26 and continues thru Saturday, April 27. Mr. Kreutz has been to many Camp MSKs! Don't miss our finest week of the summer! MSK martial arts education, swimming, hiking, biking, zip line, skating, wall climbing and much, much more! Students who go to camp, become stronger students in many ways. Reserve your spot today - space is limited! Parents and family members of students in the CTI can always try a class for free! Check it out - it's an incredibly fantastic thing to do with your friends and loved ones. It will change your life! Our 35th Moo Sul Kwan Summer Expo is taking place at the Keystone Ski Resort May 31 - June 2! We will also be celebrating Moo Sul Kwan's 50th Anniversary on Saturday evening at the Expo. Special guests including Mrs. Yong J. Park, Mr Richard Park, Great Grandmaster Bong Yul Shin, Grandmaster Charles Hildebrand and many more will be on hand for this very special weekend! Special complimentary classes for our parents, family members and friends - ask at check-in! Click here for more information on MSK Summer Expo XXXV. Mr. Murphy breaking at Burfordsville Mill, Missouri. Lots of work going on at our Green Mountain Campus. The back room, Room #2, is getting a makeover. Several walls have been taken out to enlarge the space. Many CTI Promotion Tests take place here at CTI Headquarters, so the bigger room will be welcome! Education is a continuous process in a person’s life. Since the day someone is born, he obtains education. Learning how to eat, walk, talk, developing good characteristics, a career for living, social skills; All of these things are parts of the process of education. Therefore, it is very important to obtain his education the right way to prepare him to be a good person. Our parents are our first educators. They teach us so many things until we become adults and even afterwards. We must be thankful and respect our parents for the education they’ve provided us to flourish our lives. Then there are school teachers, college professors, public speakers, Taekwondo instructors; they educate us and improve us. Education must be systematic and organized to provide students the learning materials effectively. Even parents organize and plan on how they educate their children. They read parenting books, listen to experts, learn parenting strategies, then plan and act accordingly. The schools and colleges have well organized methodologies and curriculum to provide education in a systematic way. They have developed strategies to address differences of students as needed. A well-organized education system is efficient and improves its students’ skills and abilities. Colorado Taekwondo Institute is a great educational organization. It provides students education to improve their body, mind and spirit. While teaching well established martial arts techniques to develop self defense skills and a healthy body, CTI also teaches us to practice positive attitude, great characteristics such as respect, self-confidence, empathy, courage, decision making skills, self-learning skills etc. These qualities make a Moo Sul Kwan student a pleasant and a valuable person to the society. Education framework at CTI is designed in a way to deliver these qualities to students very effectively. Programs are adjusted to cater differences in age, maturity, level of skills, proficiency and aptitude of the students. Regular training sessions, tournaments, seminars, camps, conventions are regularly organized and provide students opportunities to improve. There’re well written student manuals, teaching materials and news letter publications. 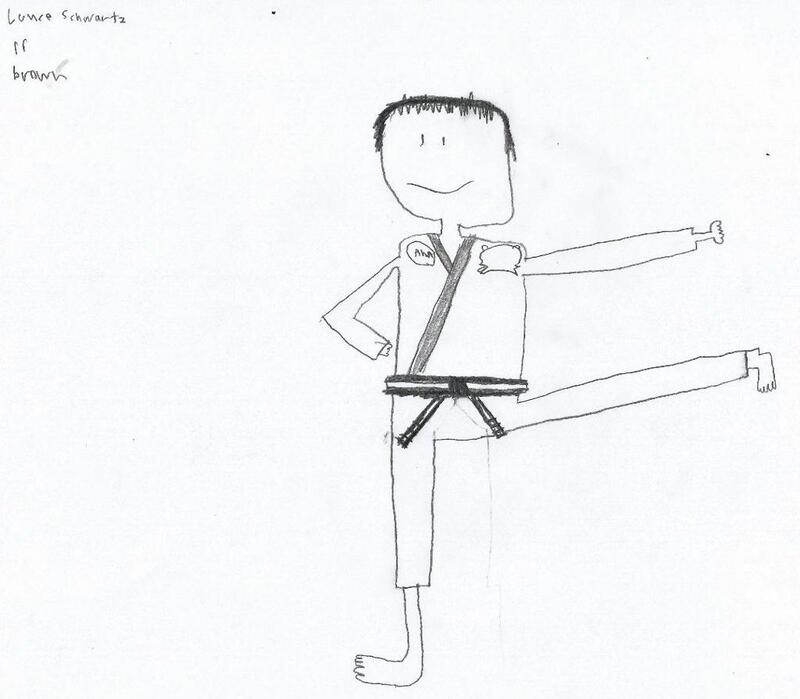 Students are required to work on monthly homework, take written tests and physical tests for belt promotion. These are all evidence of a systematically structured education system. Education gives us knowledge of the world around us. We use this knowledge, be creative, add our opinions and ideas and change it into something better. It helps us to grow and improve our perspective of looking at life. Education helps us to become leaders at school, work, home and nation. “discit qui ducit” - who learns leads. Indomitable spirit is unbeatable courage and strength in your mind. A person with indomitable spirit always achieves his/her goals. With confidence and self-esteem, he knows how to be steady and strong hearted. A loud kihup illustrates the Indomitable spirit within yourself. In a real-life situation or at a sparring match you can startle and scare the opponent by showing your spirit with a strong loud kihup. It is a great feature to use in martial arts. In everyday life it is important to be self-confident, courageous and skillful. Indomitable spirit supports you to improve your leadership skills. Both at home and work, you can be an example for others. Using good decision-making skills, self-learning skills helps you to be successful everywhere you go. Sticking to plans, steady enthusiasm, good values, quality and politeness… all comes with indomitable spirit.